Expanding your brand’s reach via social media channels may be a challenge unless you harness the resources available to you each day–your employees. This eBook outlines several ways to engage employees in your social media efforts, while defining the steps needed before beginning the program. 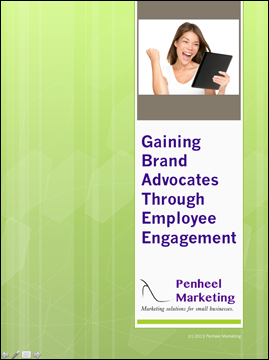 Download the eBook now for the steps to help you on your way to gaining brand advocates through employee engagement. What questions do you have about gaining brand advocates through employee engagement?